Welcome to day eight of The Fourth Annual Twelve Days of Giving! This event always seems to fly by, but this year it seems to like we’re moving along at light speed! I think today’s prize is going to really knock your socks off, so, brace yourselves! 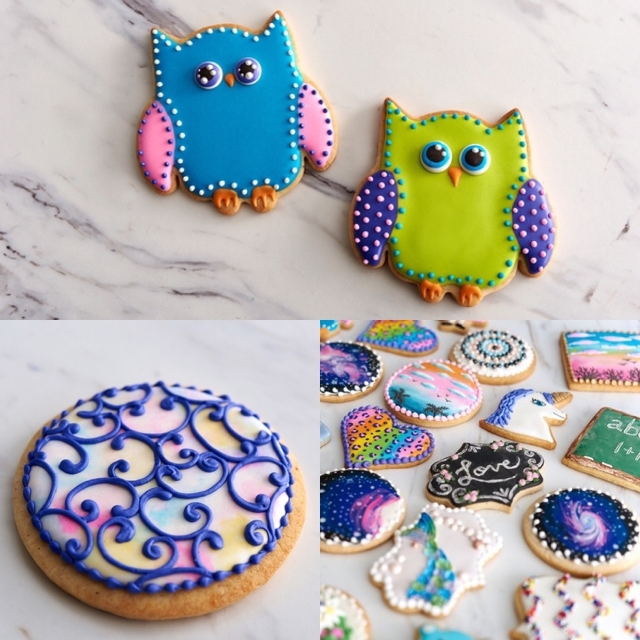 Build a breathtaking portfolio of vibrant, detailed cookies alongside pro decorator Mallory Mae. Learn how as you create 15 incredible designs inspired by comic books, nature, art nouveau and more! 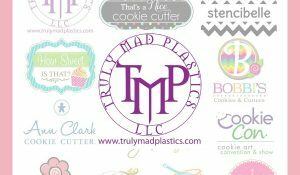 You’ll create custom templates, transfer designs with easy stenciling methods, mix the perfect royal icing colors and pipe them to bring your work to life! Along the way, learn wet-on-wet techniques, create luxurious fabric textures, paint eye-catching details and finish your cookies with delicate piped filigree. Plus, learn to create accent cookies that echo patterns from your main design and complement your display. Start decorating cookies with royal icing techniques you can customize for any occasion! GET IT FOR 50% OFF HERE. Make your cookie pops the star of the show with playful designs everyone will love. 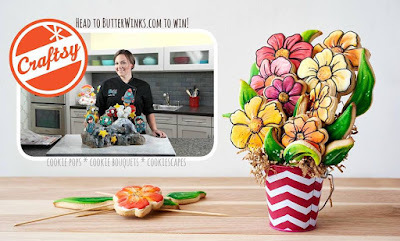 Professional cookie decorator Mallory Mae returns to the Craftsy classroom to show you how to make a cookie bouquet, storytelling cookiescapes and her own original cookie designs. GET IT FOR 50% OFF HERE. 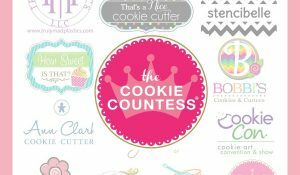 Get more from your cookie cutter collection with expert guidance from professional cookie decorator Georganne Bell. Start by transforming a simple exclamation point into a person, a pumpkin and a drumstick. Then, get cookie decorating tips as you turn an ice cream cone shape into a festive pilgrim, create a royal icing transfer and whip up a playful popcorn bucket perfect for movie night! Tired of shapes that just miss the mark? 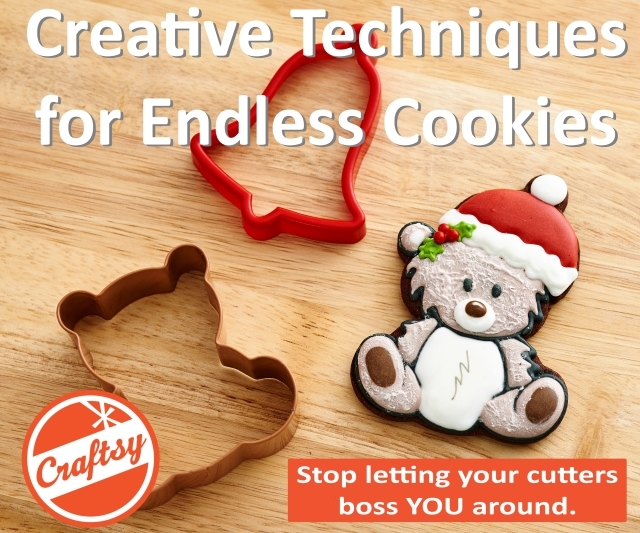 Learn how to modify your designs using cutters already in your stash and add exciting texture to your cookies for professional results. Up next, bring custom designs to life with existing cutters and create a swashbuckling pirate cookie, guaranteed to make any party more fun. 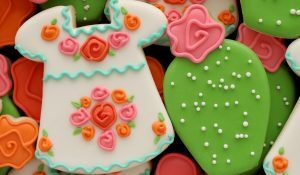 Finally, learn decorating techniques that hide seams and stabilize combined cookies. And, put your new skills to use as you make a playful circus-themed cookie collection! GET IT FOR 50% OFF HERE. Ready to push yourself to perfection and master basic design techniques? 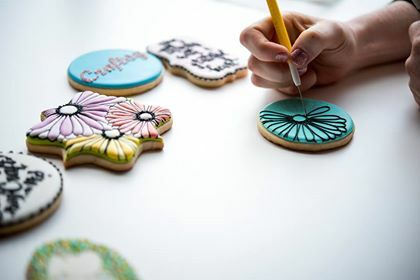 Cookie artist Stephanie Kappel breaks down a variety of essential decorating techniques to elevate your cookie-decorating execution. Master skills such as piping and flooding, then pipe smooth lines, dots and writing to create flawless works of edible art. With Stephanie’s step-by-step guidance, you’ll be decorating perfectly precise cookies in a snap! GET IT FOR 50% OFF HERE. Take a break from the holiday chaos with a fun and festive project that the whole family can get in on! Expert cookie artist Stephanie Kappel guides you step by step to create a homemade gingerbread house with piped door frames, window panes and more. 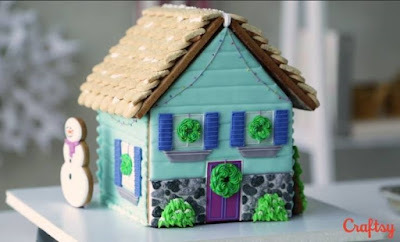 Using Stephanie’s exclusive designs and techniques, you can easily put your house together whether you’re an advanced decorator or just starting out. She even provides options for a pre-baked house and candy-heavy version. Get ready to decorate and celebrate your new annual holiday tradition! GET IT FOR 50% OFF HERE. Make your cookies a delicacy of design, texture and color with professional decorator Amber Spiegel. Start by achieving the perfect royal icing consistency for different types of decorating. 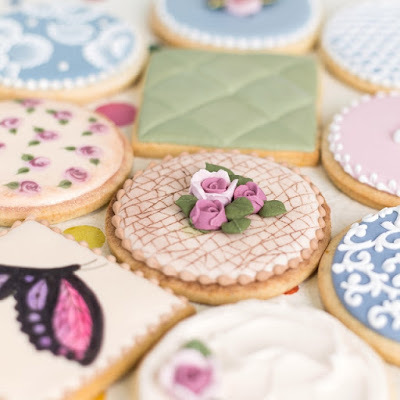 Then, learn to easily transfer intricate eyelet lace and other patterns onto your cookies. Make sophisticated fabric effects simple: luscious quilted textures, as well as breathtaking brush embroidered flowers and borders. Antique your cookies with the look of gold marbling, cracked ceramic glazes and bronze edgings. Create rose accents with exquisite wet-on-wet techniques, eye-catching piping and more. Paint vibrant custom designs and radiant backdrops with edible watercolors. Texture your work to create “fuzzy” animal cookies and wavy icing for rustic chic treats. Make the most enticing treats at the table with new cookie-decorating techniques. GET IT FOR 25% OFF HERE. Do your cookies need a new look? Popular instructor Amber Spiegel shares inventive cookie decorating ideas and techniques for results that will make your treats a must at parties, showers and more. 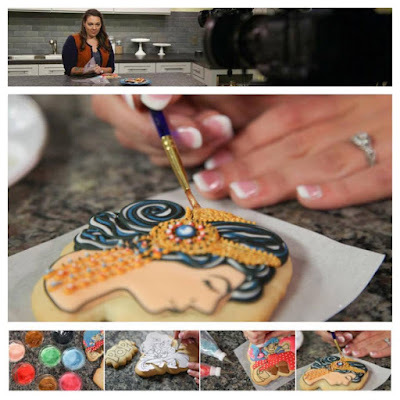 To begin, you’ll discover how to blend royal icing wet-on-wet for an enviably smooth surface. And, find out how to paint directly onto wet icing to bring vibrant colors to life. Up next, give your cookies a textured finish, create a “reflective” surface effect and experiment with an on-trend burlap look. 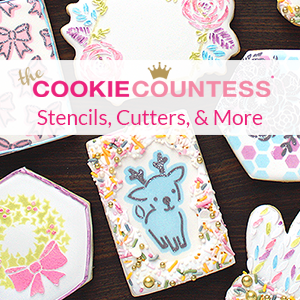 Amber shows you how to easily make and store royal icing transfers. Then, bring pearlized finishes, metallic looks and even a chalkboard effect to life. And, find out how to use sprinkles in creative and innovative ways. You’ll also learn how to build a three-dimensional cookie box and customize it with impressive woodgrain or metallic finishes. GET IT FOR 25% OFF HERE. 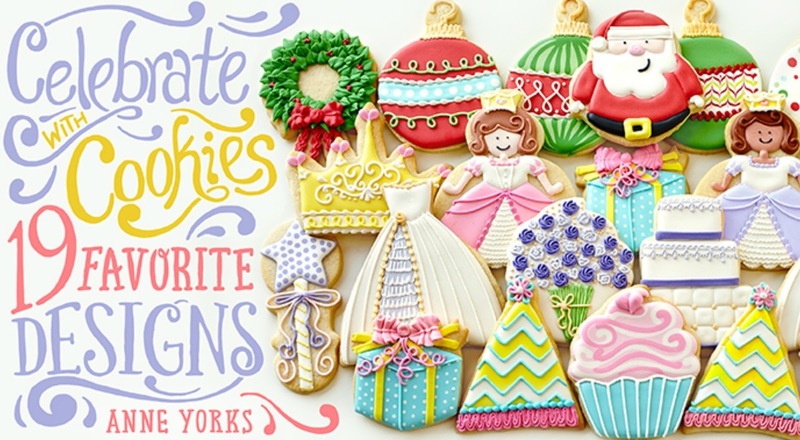 Have fun decorating cookies with fondant and enjoy guidance from confectionary artist Autumn Carpenter! Your finished treats are sure to satisfy sweet tooths, ignite imaginations and amaze your family and friends. Bring colorful personality and a rich, smooth finish to your cookies with run sugar. Create stylish patterns using edible images, and emboss rolled fondant before creating a spectacular stained-glass effect! 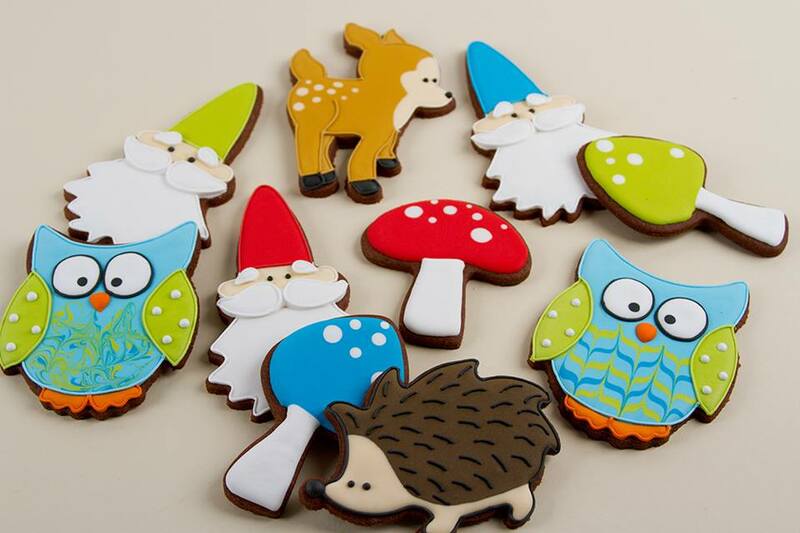 Hand-paint cookies with darling designs and add velvety shimmer with flocking. Lend your cookies a touch of elegance with ruffles, brush embroidery and broderie anglaise. Autumn will even show you how to present cookies in a “bouquet” arrangement, as well as plenty of other ways to package them beautifully. GET IT FOR 25% OFF HERE. Find the joy in cookie decorating with Anne Yorks of Flour Box Bakery! 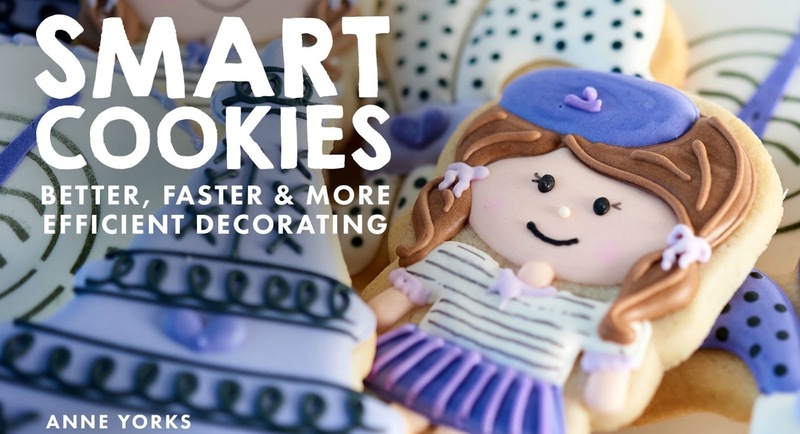 Get started with decorating basics and learn 19 favorite designs with ‘Celebrate with Cookies’, including wedding, baby, holiday cookies and more! GET IT FOR 50% OFF HERE. Anne’s second class, ‘Smart Cookies’, dives deeper into the cookie decorating process. Learn pro tips for making cookie decorating better, faster, and more efficient…plus this class is full of tons of fun cookie demos! GET IT FOR 50% OFF HERE. Craftsy, (for those of you that may not be familiar with the name) is an online crafts education platform that delivers high-definition interactive video tutorials and downloadable craft workshops on a variety of topics that include quilting, knitting, paper crafting, cooking, cake and cookie decorating, photography, and more! It also offers community project forums so students are able to interact with both their instructors and peers. You can check out their enormous library of classes here. 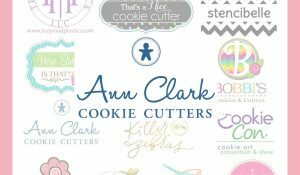 In addition to the Craftsy ten class package, Ann Clark Cookie Cutters is giving away all forty-four cutters released in 2017, which includes the Designer Collection, featuring cutters by Lila Loa, Flour Box Bakery, Sweet Ambs, and Tunde’s Creations, along with eight exclusive sneak-preview cutters! Entering is easy, just follow the instructions below! The giveaway ends at midnight on December 13, 2017 and you must be 18 years or older to win. Winners will be notified within 24 hours of giveaway close. You must respond within 48 hours or a new winner will be chosen. International entries welcome! After you’ve entered here, don’t forget to hop on over to visit Lila Loa for your chance to win an Artfully Designed Creations airbrush system and five Christmas stencils! Many of us are not on social media, but boy do we LOVE your tutorials and videos. Thank you so much!!! Wow! I am so excited for this giveaway! This gift is absolutely awesome….! What an awesome package to win! I hope I’m the winner! !